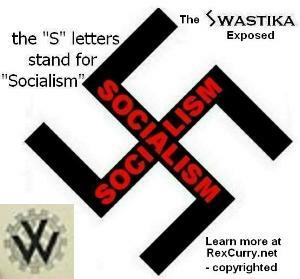 PLEDGE OF ALLEGIANCE REWARD $$$ FOR PHOTOS of the socialist salute adopted by Nazi Germany. 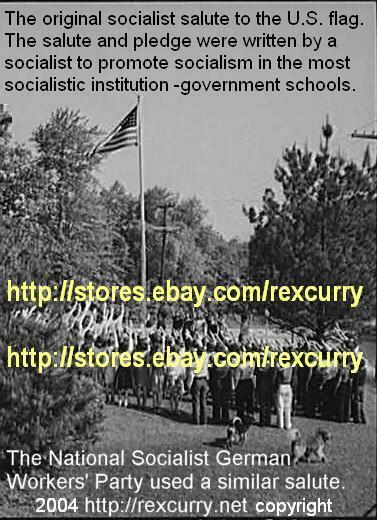 This site collects and pays for photos and video of government school students saluting the U.S. flag with the original salute (the same salute later adopted by the horrid National Socialist German Workers’ Party). Many examples of the salute are linked at http://rexcurry.net/pledge1.html The photos are best when they show U.S. students visibly giving the original socialist salute to a U.S. flag and the flag is visible in the photo. Offers of photos that come close to the prerequisites will be considered. http://rexcurry.net is famous as the only site that collects and publishes photos showing the original socialist salute. The original salute was created in 1892 by a self-proclaimed National Socialist (Francis Bellamy) in the U.S. to promote socialism in the most socialistic institution -government schools. When the U.S. Constitution was written, most people received private educations. Bellamy lived during the time when schools were becoming socialized heavily in the U.S.
Bellamy, belonged to a group known for "Nationalism," whose members wanted the federal government to nationalize most of the American economy. He saw government schools as a means to that end. 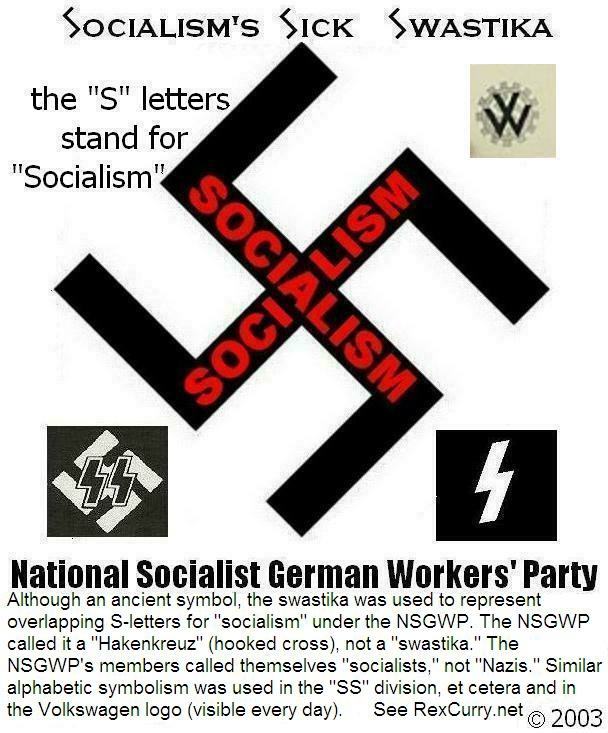 It was a view later shared by the National Socialist German Workers' Party. Almost no major media outlet has ever printed such a photograph and they won’t print it even after reading this information. The media have many opportunities to print original salute photos and stories in news coverage every Flag Day, or about the pledge of allegiance in court litigation, or at the opening of government schools every year, etc. The chilling history is rarely mentioned in major media outlets, and the historic photos are never published. Edward Bellamy’s book was an international bestseller and influenced the Union of Soviet Socialist Republics (62 million killed), the People’s Republic of China (35 million killed), and the National Socialist German Workers’ Party (21 million killed). (Death tolls from the book "Death by Government" by Professor R. J. Rummel).